At Think Tank, we are proud to do things differently. And, once in a while, people take notice. While our job is to stealthily propel our clients to the top of their game, if we get some recognition once in a while for our prowess we won’t turn it down. In the past three years, Think Tank has been named Best St. Louis Marketing Firm (3 years in a row), Best St. Louis Public Relations Firm (3 years in a row), Top Three Public Relations Firms in St. Louis, and the #1 Best Places to Work in St. Louis by the St. Louis Business Journal in both 2013 and 2014. And those are just the big awards. And, while this recognition is amazing, fills our shelves with awards, and makes us smile in the morning – the real award in our business is watching our clients soar. When we see a campaign go viral, a client get national attention, or a product launch nationally that is the real award (and reward) for our hard work. But, trust us, we still smile a huge, toothy smile when we walk into Ninja Central each day and see our shelves of awards. In October 2016 Think Tank PR, Marketing and Design was named St. Louis’ #1 Marketing Firm by St. Louis Small Business monthly. In September 2016 Think Tank PR, Marketing and Design was named one of St. Louis’ Future 50 Companies by St. Louis Small Business Monthly for our growth and innovation. In July 2016 Think Tank PR, Marketing and Design was awarded Best Public Relations Firm in St. Louis by St. Louis Small Business Monthly. In March 2015 Think Tank was named one of the Best Places to Work in St. Louis by the St. Louis Business Journal in the “Tiny” Category. Hundreds of entries were received from throughout St. Louis, dozens of companies were chosen as finalists, and only five winners were chosen in the Tiny, Small, Medium, Large and Giant categories. Think Tank snagged the top honors by ranking highest in several employee-surveyed categories including retention, job satisfaction, teamwork, managerial effectiveness and more. In September 2015 Think Tank PR, Marketing and Design was awarded Future 50 Companies in St. Louis by St. Louis Small Business Monthly for our growth and innovation. In October 2015 Think Tank PR, Marketing and Design was awarded Best Marketing Firm in St. Louis by St. Louis Small Business Monthly. In July 2015 Think Tank PR, Marketing and Design was awarded Best Public Relations Firm in St. Louis by St. Louis Small Business Monthly. In October 2014 Think Tank PR, Marketing and Design was awarded Best Marketing Firm in St. Louis by St. Louis Small Business Monthly. 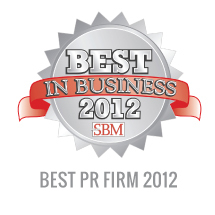 In July 2014 Think Tank PR, Marketing and Design was awarded Best Public Relations Firm in St. Louis by St. Louis Small Business Monthly. Think Tank was named Best Place to Work in St. Louis by the St. Louis Business Journal in the “Tiny” Category in March 2014. In April 2014 CEO Trish Cheatham was named one of St. Louis’ Top 100 People You Should Know to Succeed in Business by St. Louis Small Business Monthly. 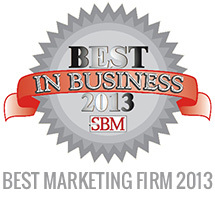 In July 2013, Think Tank was named the Top Marketing Firm in St. Louis by St. Louis Small Business Monthly. Think Tank was nominated by local businesses and readers for this award and made this prestigious list out of hundreds of entries. In July 2013, Think Tank was named one of the Top 20 Small Businesses in St. Louis by St. Louis Small Business Monthly. Think Tank was nominated by local businesses and readers for this award and made this prestigious list out of hundreds of entries and placed in the Top 20 for the entire list. In July 2013, Think Tank was named one of the Top Public Relations Firms in St. Louis by St. Louis Small Business Monthly. Think Tank was nominated by local businesses and readers for this award and made this prestigious list out of hundreds of entries and placed in the Top Three for the entire list. 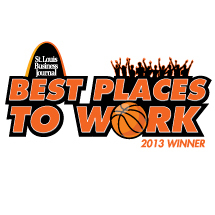 In March 2013, Think Tank was named the #1 Best Place to Work in St. Louis by the St. Louis Business Journal in the “Tiny” Category. 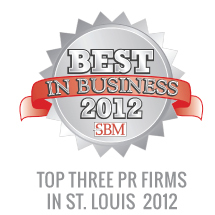 In July 2012, Think Tank was named one of the Top Public Relations Firms in St. Louis by St. Louis Small Business Monthly. In November 2012, Think Tank was named one of the Top Marketing Firms in St. Louis by St. Louis Small Business Monthly. In July 2012, Think Tank was honored by St. Louis Small Business Monthly as one of the top three public relations firms in St. Louis. In May 2011, Think Tank was named one of the Top Public Relations Firms in St. Louis by St. Louis Small Business Monthly. In November 2011, Think Tank was named one of the Top Marketing Firms in St. Louis by St. Louis Small Business Monthly.